It's getting harder to put your marketing messages in front of consumers. Increased digital competition, changing algorithms, and a crowded social media space mean you have to work hard to stand out. 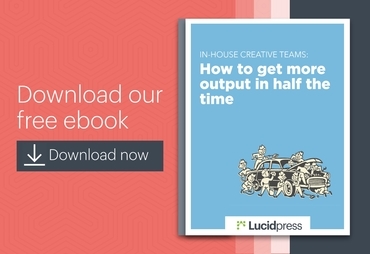 So how are marketers breaking through the clutter? 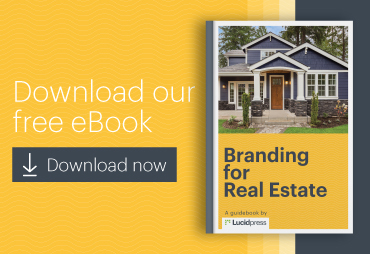 By revitalizing some tried-and-true, pre-digital strategies like direct mail. Related: Direct mail marketing: Does it still work in 2018? Receiving something in the mail is sure to get people's attention. These 11 direct mail examples will inspire you to launch your own effective direct mail campaign. We've chosen each one because it showcases a particular strategy you can use to generated direct mail ideas for your own marketing pieces. Your central marketing message should be the first thing a recipient sees when they receive your direct mail piece. 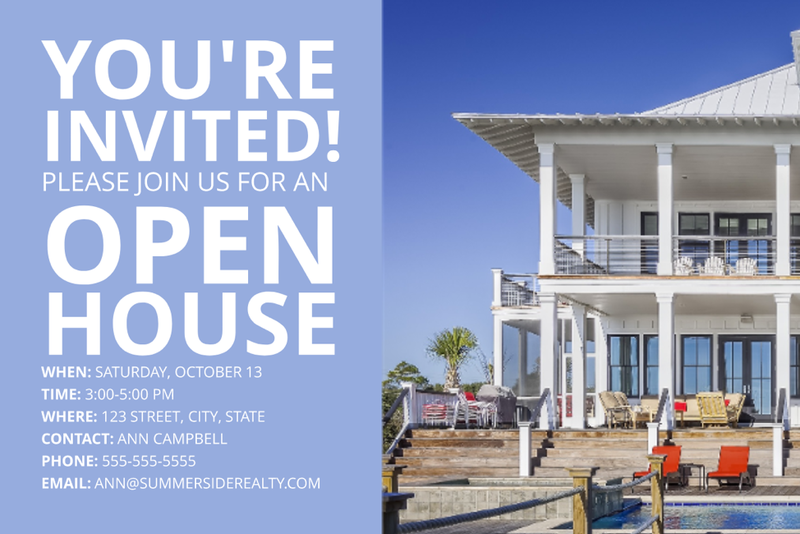 The Waterfront open house postcard has big, bold text taking up almost half of the design, so the main marketing message gets across right away. If you design your own piece with bold text, just remember not to go overboard—you can overdo it. 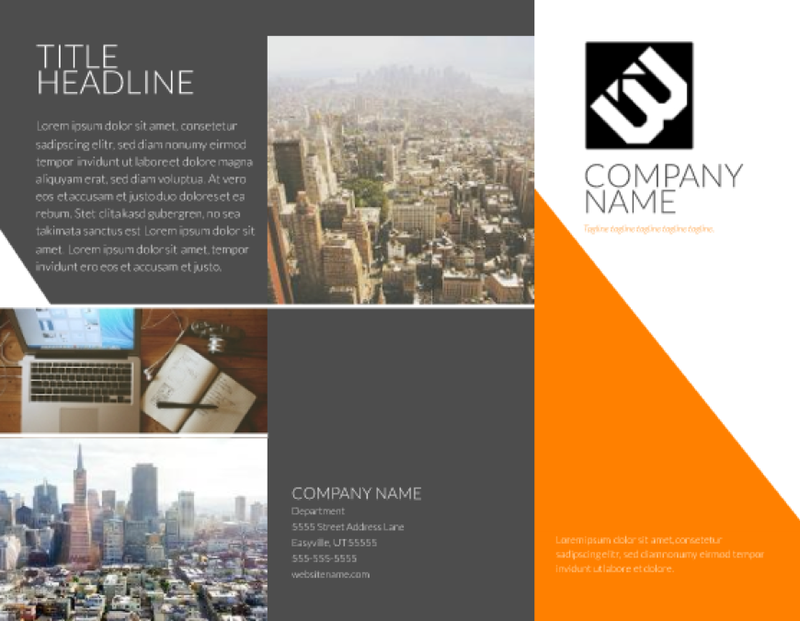 Balance the text with complementary images, and leave some space for the design to breathe. Another great way to get people's attention is with interesting shapes. 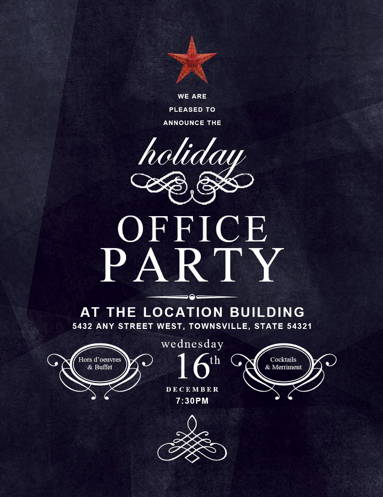 This office party invitation from Every Door Direct Mail organizes text into a Christmas tree shape, a surefire hit around the holidays. You can organize text into all sorts of shapes, from beer bottles to flowers. 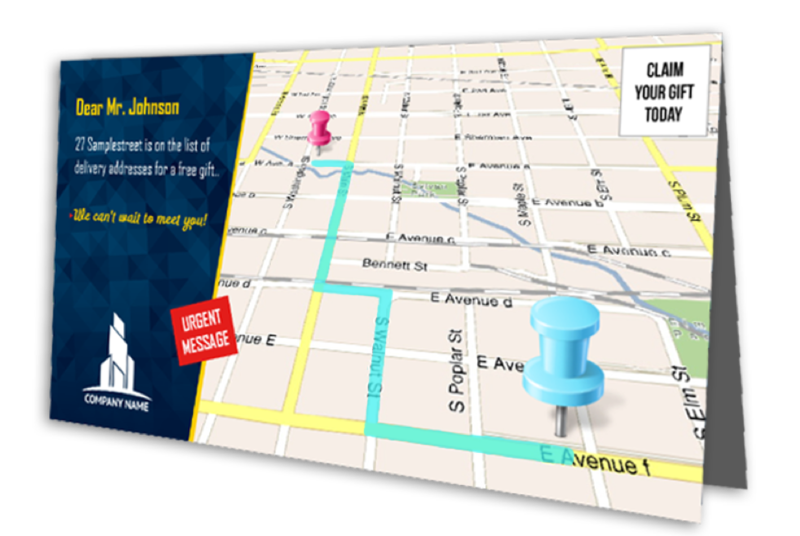 It's a fun and creative way to add some eye-catching visual interest to your direct mail piece. 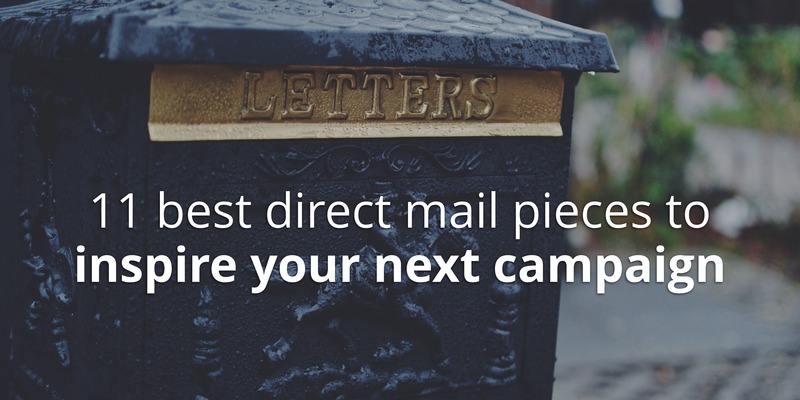 Ready to design your direct mail piece? While your marketing pitch lives in the text, great images capture attention and evoke emotion. 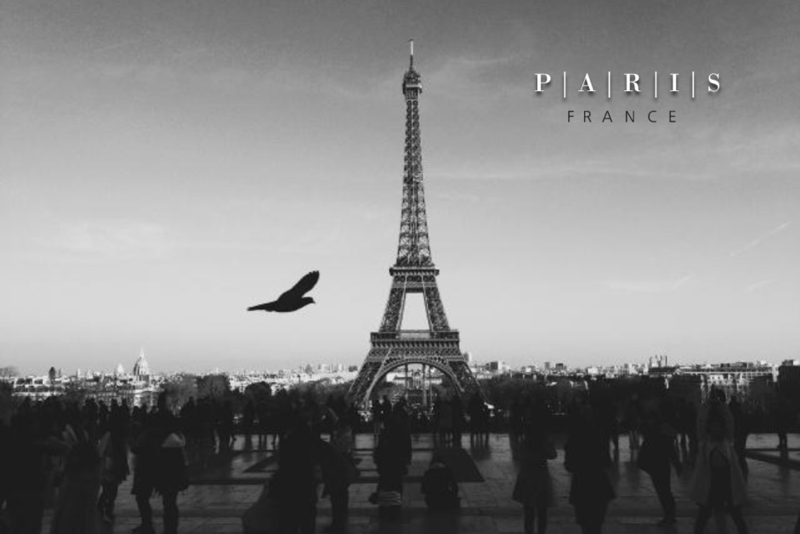 This Parisienne travel postcard gets viewers thinking about travel and romance with a pretty, black-and-white photograph of the Eiffel Tower. 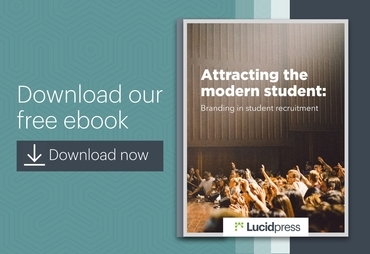 It's good practice to choose an image that complements your brand and your offer, but the primary goal is to make a strong emotional connection. Direct mail pieces have to stand out from the stack of mail that people receive every day. Macro photography is a great way to provide a new perspective on a familiar object—and this direct mail piece from Canva puts this strategy to good use. Rather than a standard cup of coffee, this alluring photo evokes the scent, taste and tactile feel of coffee beans. Of course, you don't have to use coffee beans—or any food, for that matter. If there's an object that represents your brand, product or service, use macro shots to highlight it. If you can use an image that's personalized to your customers or local area, even better. When you look in your mailbox on an average day, what do you see? Probably a sea of white (and off-white) envelopes, most of which look the same. 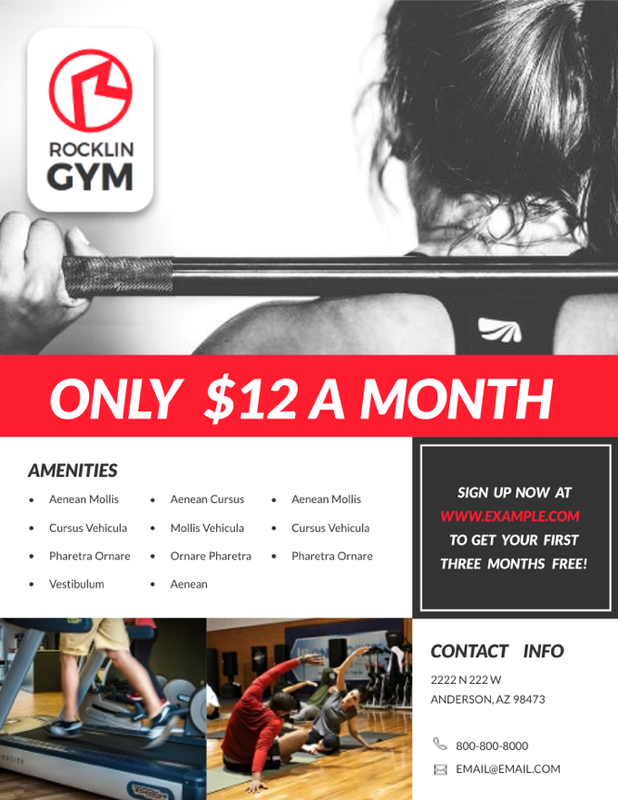 The bright red stripe on this gym fitness flyer immediately stands out and draws attention to the value proposition. Be prudent with your color pops—an overly bright direct mail piece can look tacky and overwhelming. Stick with tasteful highlights like those showcased in this design. Mailboxes are crammed full of standard envelopes and flyers every day. If your advertising needs to stand out, why not try a different shape? This modern tri-fold brochure will grab people's attention not only with its color-blocked design, but also with an unusual shape. Folded pieces have a three-dimensional aspect to them, making it more likely to get noticed. Personalization is a standard digital marketing tactic, but it's more difficult to achieve in the direct mail space. Maps4Mail solved that by printing customized maps on each piece of mail, showing the recipient exactly where they need to go. The map is intuitive, personalized, and makes it easy for anyone to find your business. This is a great way to show customers you personally value their business as individuals. If you don't have the budget for such a granular campaign, you can still try other ways to add a personal touch to your direct mail. For example, you could include something specific to the local area, or you could include your signature. Most letters and flyers are printed on the same white paper. That's not very exciting. If you can find materials or textures that stand out, you'll have a big advantage over the competition. Heavy or textured paper work nicely, but if you really want to branch out, check this: These postcards from Cards of Wood are (as you would guess) made entirely of wood. Wood you believe it? People are curious creatures, and we're more likely to open packages that contain objects. 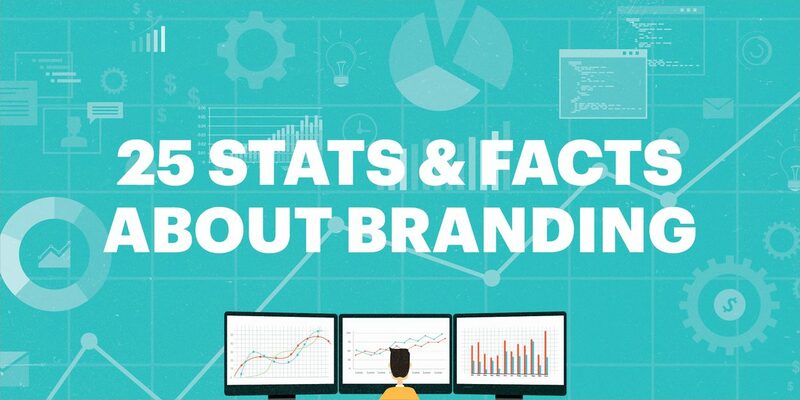 If you can get your brand message across with an object, it can serve as a fantastic ad. Amnesty International sent out these pencil chopsticks to encourage people to write to the Chinese government. Thinking outside the box (or should we say inside) can get great results in direct mail because people spend more time with it. 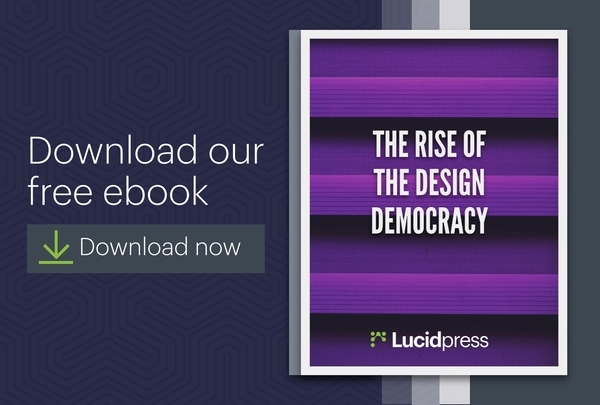 Not every brand can afford to design interactive mail pieces—but if you can, there might be no better way to connect with your customer. 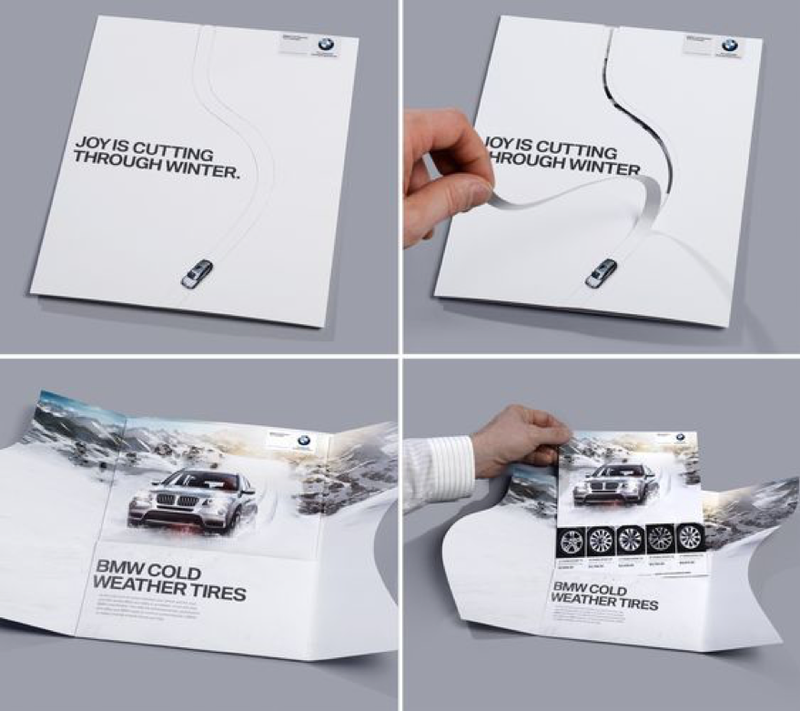 This piece from BMW had customers cutting a path through a wintery postcard to emphasize the reliability and control of their snow tires. Their combination of an envelope and mailer is great creative thinking. 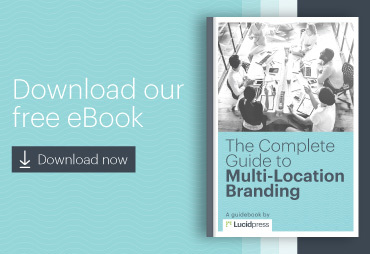 Many direct mail pieces focus on the value brands can provide to their customers—but you'll have to go further if you want to stand out. A coupon is a good start, but that's still fairly common. Consider including a punch-out gift card instead. It lets you take advantage of an unusual material (plastic) and give the recipient a gift. A great combination that's tough to beat. People get a lot of mail they didn't ask for, and different brands will find success with different types of direct mail. The most important thing is to stand out and provide real value to your audience. 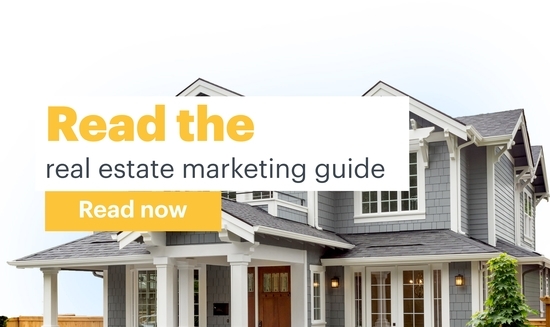 These examples should get your creative juices flowing and inspire the best direct mail campaign for your own marketing goals. 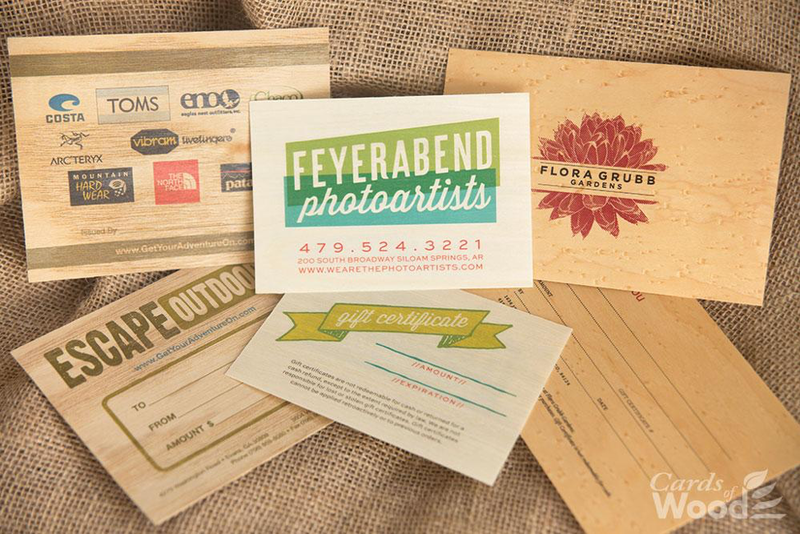 Ready to create your own direct mail designs in minutes? 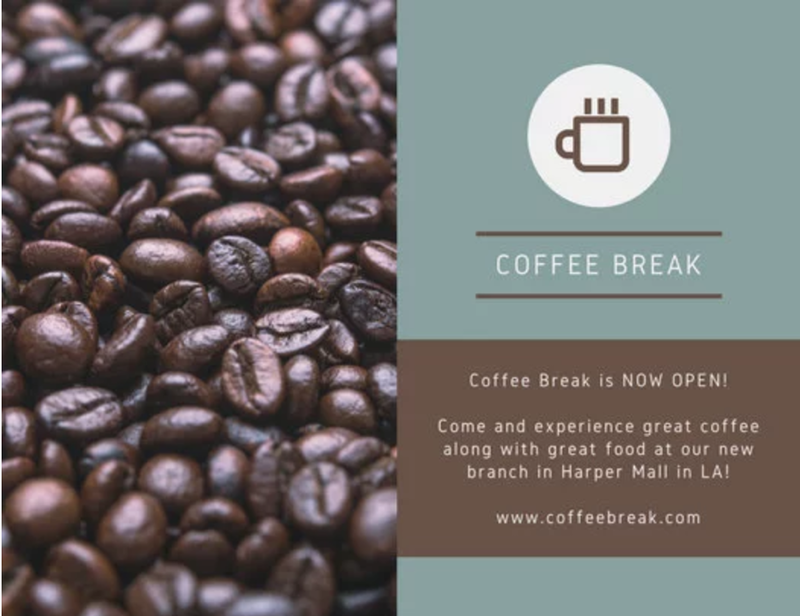 Check out our direct mail postcard templates. 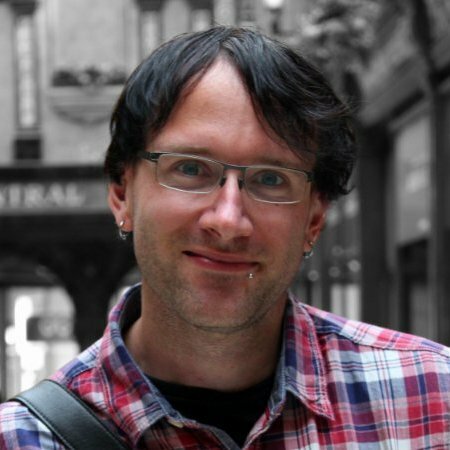 Dann Albright is a freelance content marketer, content strategist, B2B blogger, copywriter and journalist. You can follow Dann on LinkedIn.